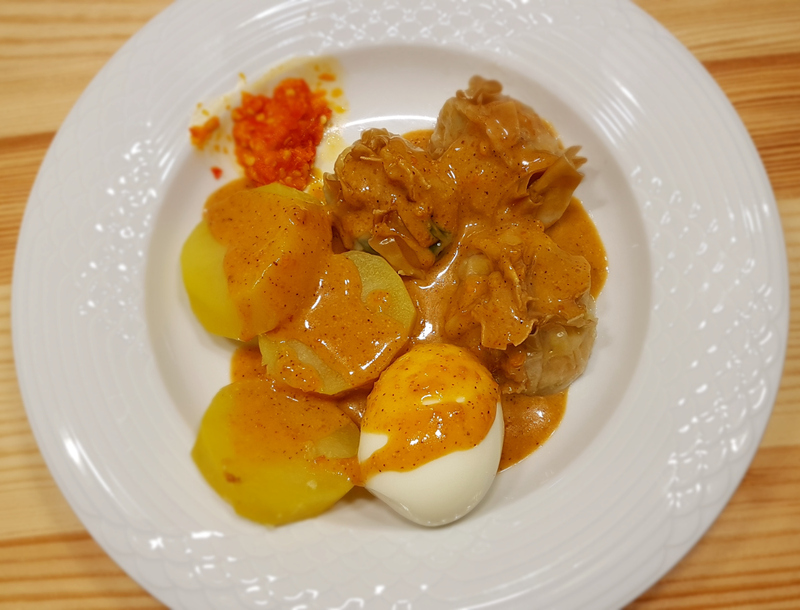 Siomay Ayam is an indonesian dish which is comparable to Maultaschen. "Ayam" means "chicken". 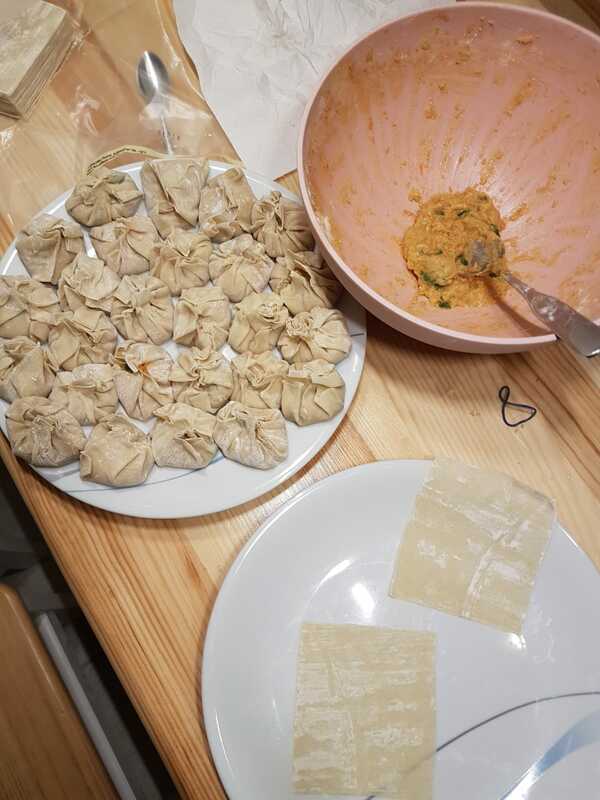 It takes about one hour to prepare and about 20 min for damping. For 30 pices of Siomay Ayam (good for 2 people, if you don't have any side dish), you need the following ingredients. 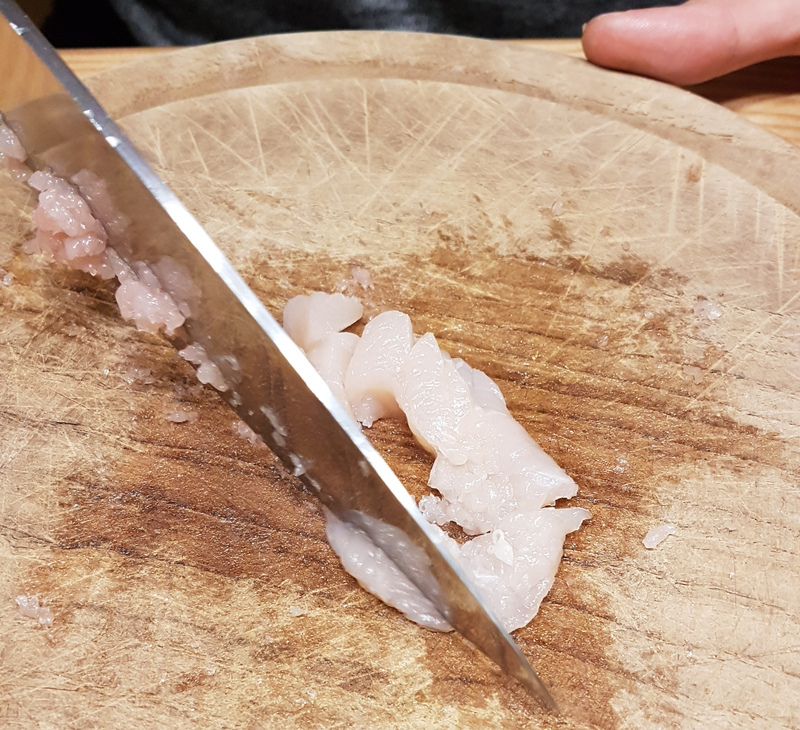 Chop the chicken into very fine pieces - less than 1mm. You could put the chicken in a mixer, for example. 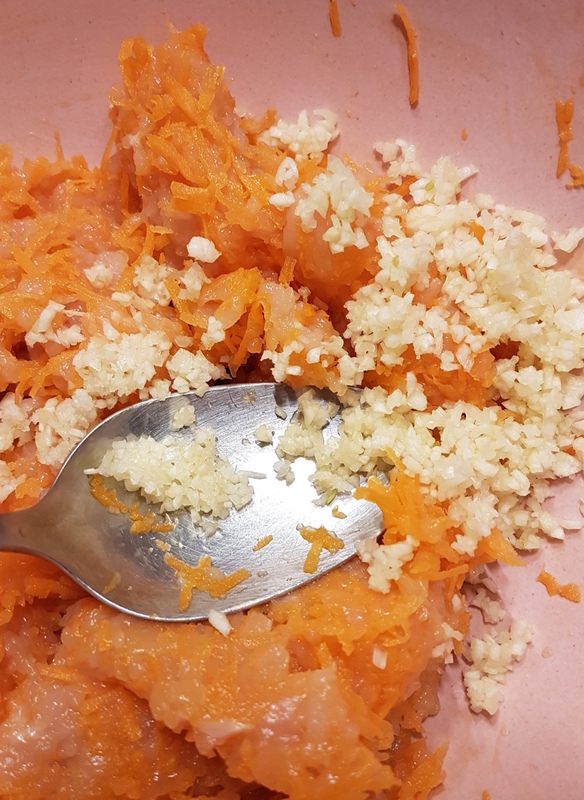 Grate the Carrots into very fine pieces. Cut spring onions into small rings - not super small. 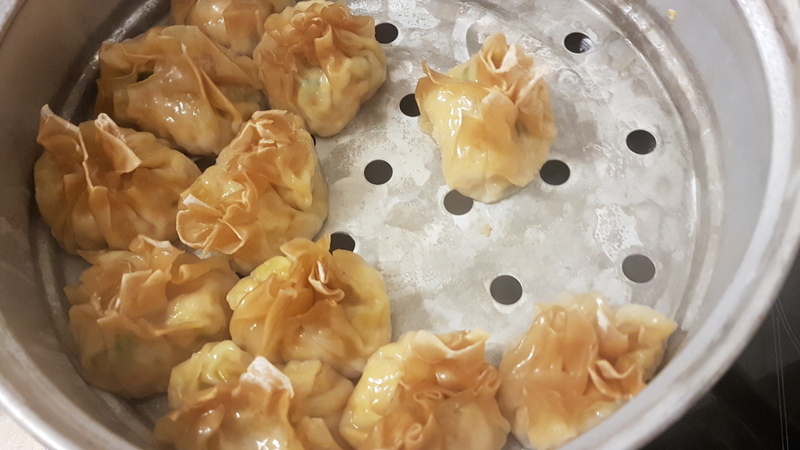 Put all remaining ingredients (except the wonton pastry sheets) in the mix. Now the dough should not be too fluid, but also not crumble. If it is too fluid, put more tapioka starch in it. Once the dough has a good consistency, fry a small part of it and test if you like the taste. Does it need more sugar / salt / pepper / oister sauce? The siomay ayam are ready!